The steady fall in appreciation and persistent gloom on the residential property market have caused PE investors to shift their focus towards other asset classes. Primarily on their radar are commercial real estate in the form of office (predominantly IT/ITeS) and retail spaces, and industrial properties in the logistics and warehousing domain. The investment trend in last 4-5 years depicts a restrictive approach of investors for the residential property asset class. Specifically, a major portion of PE monies invested in this class has been in the form of structured debt, while investments in pure equity form have fallen below 10%. Additionally, it has been observed that recent investments were largely focused on refinancing existing debts and mostly concentrated on projects in advanced stages of construction. This trend is very likely to continue in the near future as well, largely due to the upsurge in demand for ready-to-move-in properties which offer better safety for investors. Residential real estate has undergone a paradigm shift in terms of PE investment composition post-2009-10; pure equity investments sank below 10% over the last 3 to 4 years. As the challenges that have beset the sector are quite persistent, PE investors are likely to play very cautiously and prefer debt over equity in their portfolio structure. Hence, the dominance of debt structure in overall PE composition is expected to rule in the near-term. While the commercial-IT and retail asset classes already saw a healthy upsurge of PE investment inflows in 2017, the Government’s recent move to allow 100% FDI in single-brand retail through the automatic route, at the same time relaxing sourcing norms, will work as a catalyst for investment inflows in these asset classes. Also, the first REIT listings are likely to happen in the upcoming months of 2018. The REITs route will infuse substantial liquid inflows into the commercial real estate asset class which, in turn, will improve the execution capacity of developers focused on this sector. This will definitely push PE investors’ inclination towards commercial real estate. The ongoing slowdown and associated risk of the re-investment cycle in the residential real estate space may also boost investments in commercial and other real estate asset classes. Relatively easier availability of land and resources, mid-term saturation of the metro cities, and the recent upswing in retail’s performance in Tier II and Tier III cities have attracted PE investors’ attention. The demand and consumption rate of organized retail spaces in these cities is continuously growing, and this phenomenon will strengthen in 2018. Also, the majority of upcoming developments in the logistics and warehousing sector will take place in these cities due to the availability of land parcels and other resources at a lower cost. Despite the blurring focus on private equity players on residential in general, the affordable housing segment – one of the most-discussed topics of 2017 – is expected to attract more PE investors in 2018. 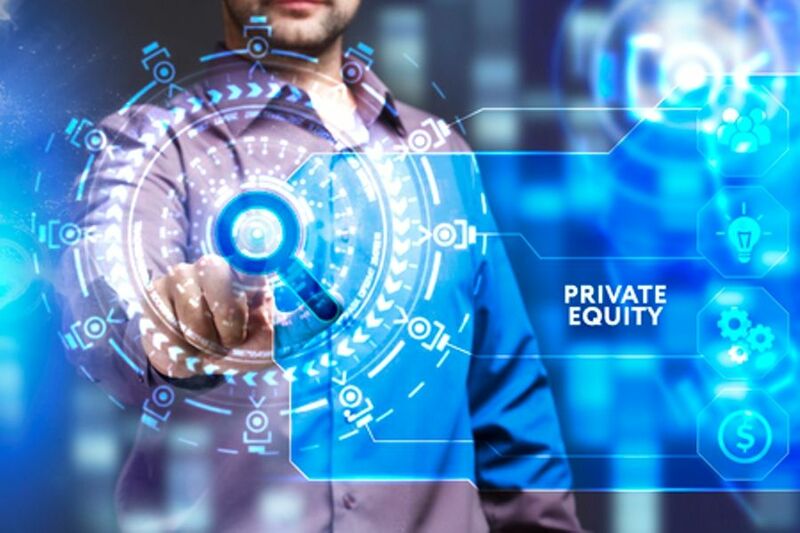 In a bid to capture the substantial market potential of this segment, many PE funds and developers will seek to upgrade their participation in it. The second half of 2017 already saw increased forays by some PE funds and several Tier I developers. KKR – a leading PE investment firm – has announced an investment of INR 200 crore in Signature Global’s affordable housing project in Gurgaon. Brick Eagle – another PE fund – is also in the process of investing around INR 700 crore in affordable housing projects. The Indian real estate sector is still coming to grips with a slew of challenges and policy changes and is very much on a transition trajectory today. On the one hand, inhibiting factors such as rising commodities prices (specifically those of crude oil), unstable inflation readings and curbed job creation will encumber the real estate sector’s growth in the near-to-mid-term. On the other hand, India’s historic leap of India’s EoDB (Ease of Doing Business) ranking, upgraded credit ranking and the determined efforts of the Government will certainly enable a more conducive economic environment in the future. This will help build the confidence of institutional investors in the coming years. The diagnosis for the residential real estate sector is ‘definitely not terminal – treatment underway and eventual recovery certain’.